The Indian Specific Claims Commission (ICC) was formed in 1991 in response to the Oka crisis. Its purpose was to resolve and expedite specific claims arising out of promises made to Indigenous nations in treaties, the Indian Act, and the larger set of legal and ethical obligations flowing from the Crown to those nations. Had those promises been kept, these claims would not exist. By Law or In Justice traces the history of Indigenous claims in Canada and the work of the ICC from 1991 until it was decommissioned by the Harper government in 2009. An insider’s account, it is written by long-standing ICC commissioner Jane Dickson who looks critically at the development and implementation of Canada’s specific claims policy. 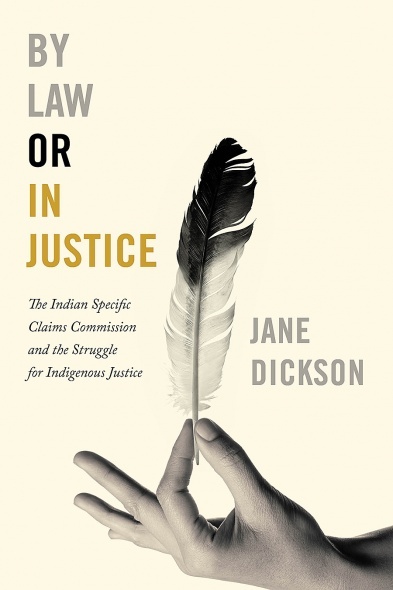 Drawing upon the records of the commission and a wealth of research and experience with Indigenous claims and communities, she provides an unflinching look at the inquiry process and the parties involved as they struggled to achieve just resolution of specific claims. By Law or In Justice provides a balanced, careful analysis of Canada’s claims policy, the challenges faced by Indigenous claimants, and the legacy of the commission. By documenting the promises made and broken to Indigenous nations, this book also makes a passionate plea for greater claims justice so that true reconciliation can be achieved. The book is intended for the wide range of readers who want or need to know more about how the claims process works and how the state met, or failed to meet, its promises to Indigenous peoples through this process. This includes scholars, particularly in law, political science, anthropology, and sociology; government policy makers; and lawyers and negotiators working in this area.More generally it will be of interest to Canadians concerned about the just resolution of land claims, reconciliation, and Indigenous rights in Canada. Dickson-Gilmore, J. (2018). By Law or In Justice The Indian Specific Claims Commission and the Struggle for Indigenous Justice. University of British Columbia Press.